Policy is a process, not a product. With each development success comes a new wave of challenges. Great strides have been made toward getting all children enrolled in primary school, but the next problem to tackle – getting them to actually learn – is much more complex. Many countries have introduced tough limits on air pollution to protect citizens’ health – but creating the right incentives to achieve actual compliance is difficult. Addressing finer policy challenges requires a new, embedded, self-correcting process that produces and integrates evidence as it develops and implements new policies. Each of the SPDI stages incorporates both economic theory and rigorous evidence. Throughout the cycle, we build the capacity of policymakers to systematically apply evidence—through dialogue, training, support for innovation, and interactive tools employing data visualization. The first step is to identify the policy problem. While this may occur in many ways, a successful model is when the involved stakeholders come together with researchers to combine information on policy priorities and opportunities with economic insights in order to identify a question that can be feasibly approached. Researchers work closely with policy partners, again using insights from economic theory and empirical evidence, to diagnose the market or policy failures that underlie the identified problem. Descriptive data and existing research can often help distinguish between potential explanations and screen for underlying causal factors. The joint policy-research team applies its collective expertise to design policy innovations that are financially, administratively, and politically feasible in addition to being justified by economic principles and well-supported by evidence. 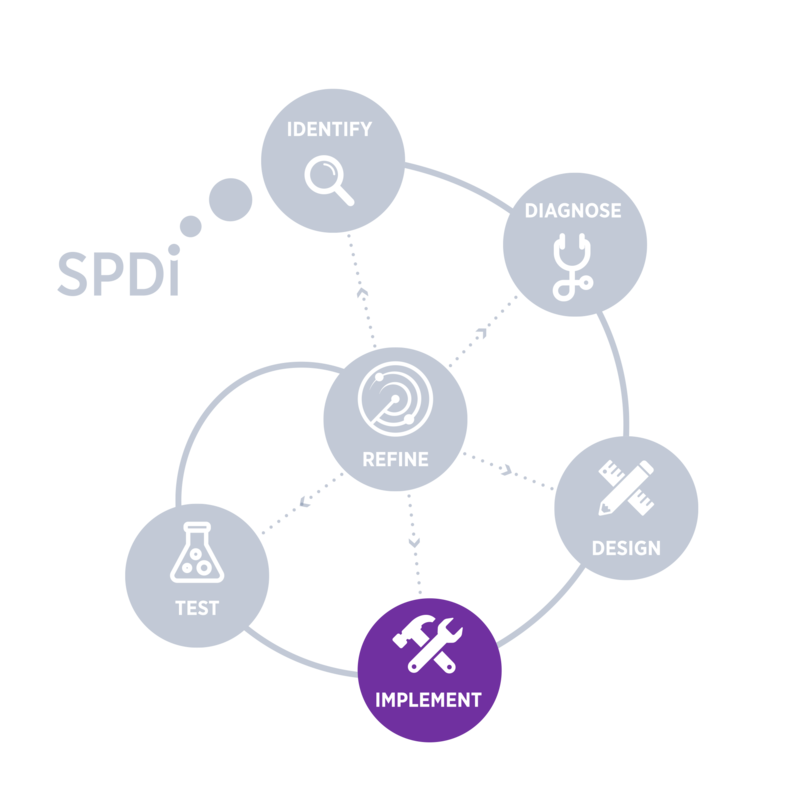 Monitoring and feedback mechanisms are built into every design, often including new tech-based platforms for collecting and learning from implementation data. This is the point when the solution is delivered to target beneficiaries. Sometimes potential designs are implemented in an initial pilot to iron out the kinks or determine feasibility before delivering them at scale. Smart data systems capture key indicators of implementation progress to enable continuous problem-solving and learning. 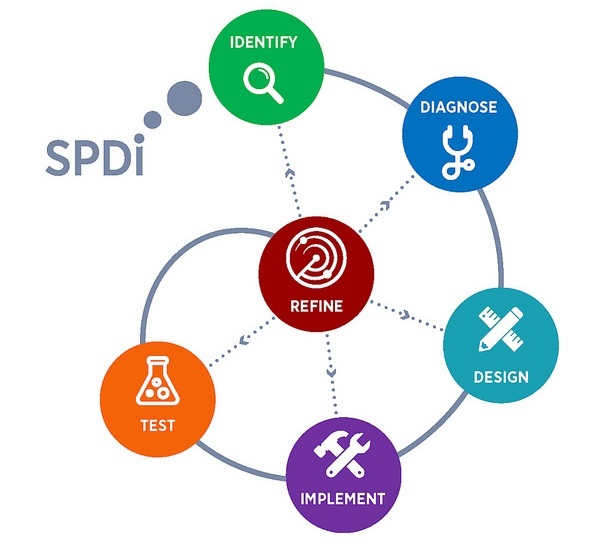 The SPDI approach emphasizes rigorous testing at relevant scale, with scientific methods of evaluation used to measure impact – often comparing several designs via large-scale field studies that draw on tools such as randomized controlled trials. Testing the outcomes of the highest potential solution(s) provides key information on how best to improve and refine the policy and may open up the next frontier of policy questions with new evidence on the nature of the problem. SPDI is an iterative approach, where the lessons learned at each stage are used to refine existing designs and identify the next set of objectives and challenges. At the refine stage, the policy-research team may decide that it would be most advantageous to return to a previous point in the process to solve problems or integrate new knowledge. The aim is to use evidence to generate a cycle of continuous policy improvement.